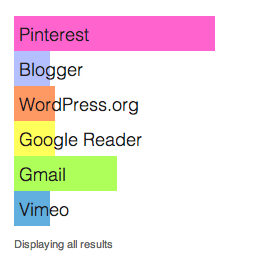 Is Pinterest the Next App to Roll-out in the HootSuite App Directory? The initial results of our first GoPollGo survey suggest that Pinterest is the popular choice to be added to the HootSuite App Directory next. 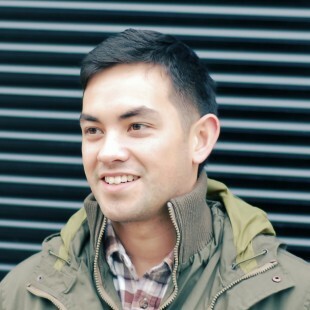 Meet Jordan Ng, HootSuite’s Integration Partner Manager. Jordan is a key member of the Business Development team, the highly strategic Owls who champion roll-outs of new apps into the HootSuite App Directory. When I first met with Jordan, it was to learn more about the Directory, but our discussion has given rise to a social survey with one of the most recent additions, GoPollGo. What better way to test our newest GoPollGo survey app, than by creating a live poll question. We’re asking you to choose your favorite app out of a list of potential suspects: Pinterest, Blogger, WordPress.org, Google Reader, Gmail and Vimeo. Within the first few hours, we had some data coming in, but we are naturally hungry for more. Here’s where our HootSuite Dashboard is able to flex its muscle. Promoting our poll through the HootSuite dashboard (First step: Installing GoPollGo via the App Directory), our poll is significantly amplified at optimal viewing times by scheduling social messages through select channels. After our social messages go out, watch the number of views and votes increase exponentially. What was once an internal discussion between two is now the sounding board of many, and we look forward to hearing your opinion. Want a say in which app comes out next to the HootSuite App Directory? Vote in our live poll. We want to know how you’re using GoPollGo. Stay tuned for our next App Wave roll-out.